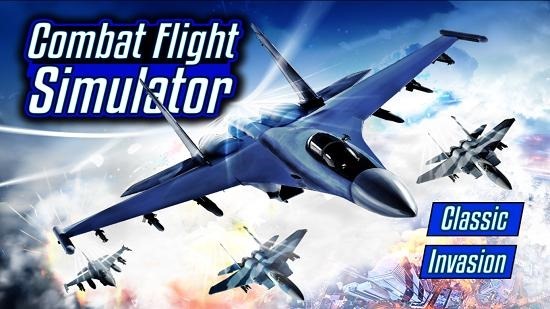 Combat Flight Simulator is a free fighter plane simulator game for Windows 8 and 8.1 in which you get to fly a fighter plane and shoot the planes which attach you. The game is pretty lightweight racking in at below 22Mb in size and the best part about the game is that you can play this at anytime, even when you are offline. The smooth graphics of the game make it promising for all devices running Windows 8 or above and the controls of the game are ridiculously simple. You can choose from either classic or Invasion modes, with the Classic mode allowing you to play a relaxed version of the game and the Invasion mode being more aggressive where you will be prone to attacks by more aircrafts. When you have chosen your desired mode, you will be brought to the gameplay interface. 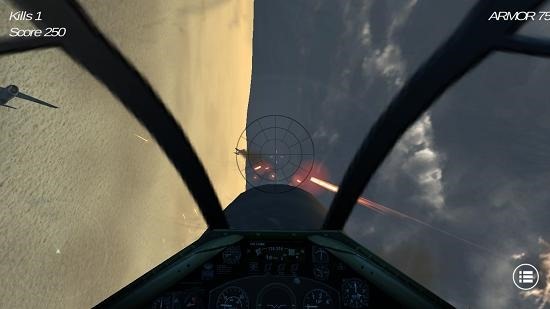 You can see that as you get the controls of the plane, you will be shown the cockpit view which you can also change by pressing the C button on your keyboard which changes the camera angle. In the above interface you can see that I am shooting bullets at the impending enemies. 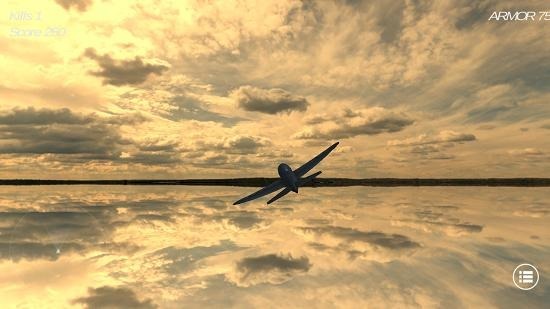 You can control your plane by moving your mouse up to fly up (or swiping your finger up) and you can move your mouse downwards or sideways to move the plane down or sideways. Clicking on the left mouse button shoots bullets. The game has well designed graphics which feel pretty realistic and you can have an idea of this by taking a look at the screenshot below wherein I have changed the camera angle. Your game gets over when you get shot down or crash land on the ground. This is a wrap of the main features of Combat Flight Simulator for Windows 8 and 8.1. Combat Flight Simulator is a great game for Windows 8 and 8.1 which you can get for your device for free by heading over to the link below and clicking the Install button in the Windows Store Interface which opens up on your device.